Going to the Golf Course Restaurant has become an essential for our visitors. 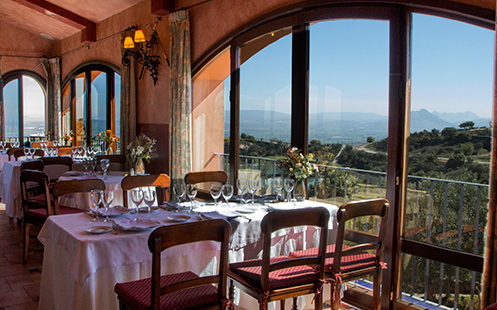 Its ample gastronomic offer, its relaxed atmosphere and the impressive views of Antequera and the golf course make it an obligatory stop on any visit. We look forward to welcoming you here. 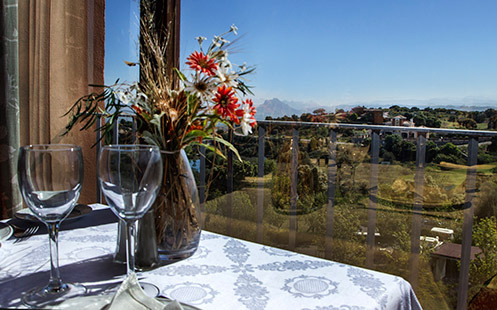 You will soon see why a day at our golf course is only complete once you have also visited the Golf Course Restaurant. A quality culinary experience for all tastes. 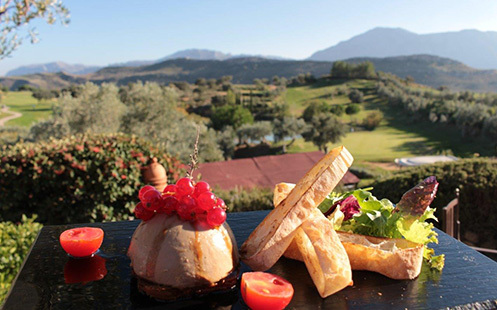 You do not need to be a golfer to be able to enjoy one of the most attractive views in Antequera and an exquisite restaurant set in a beautiful golf course. In the Golf Course Restaurant you can try a gastronomic offer based on the typical food of the region with some personal touches. Dishes of the highest quality at the best price and for all tastes. This is all thanks to the team in the kitchen, led by the chef David Muñoz, who has worked previously at the world-famous restaurant El Bulli with chef Ferrán Adriá and in the award winning el Celler de Can Roca. The favourite choice of any meat lover. Undoubtedly a perfect option. A filling yet delicious menu. 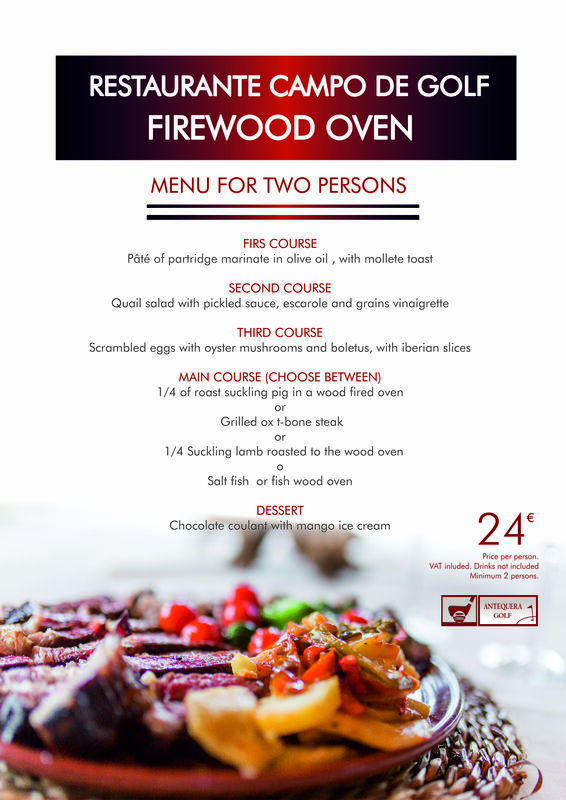 Includes signatures dishes created by the chef as starters, high quality grilled meat in the wood-burning oven, and finally a dessert to win you over. 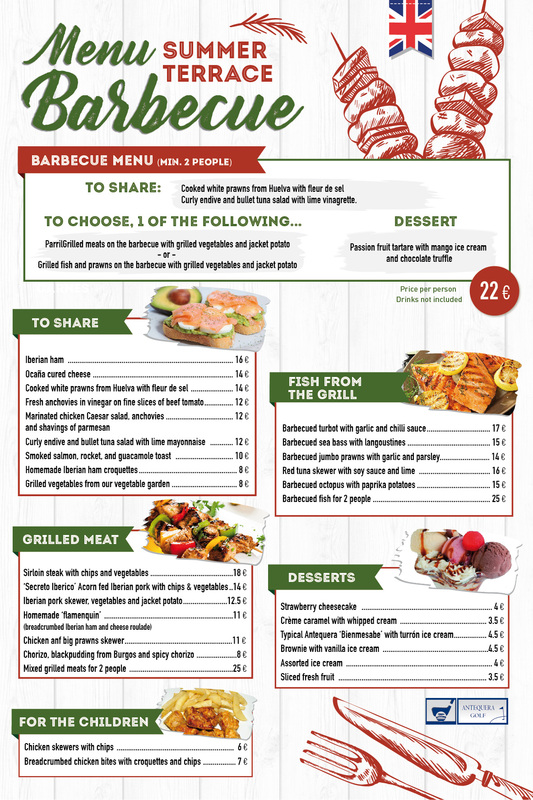 Enjoy the summer evenings on our terrace with this tasty barbecue menu in which you can choose between meats with vegetable and fish with seafood grilled. (Only in Summer). Simply delicious. 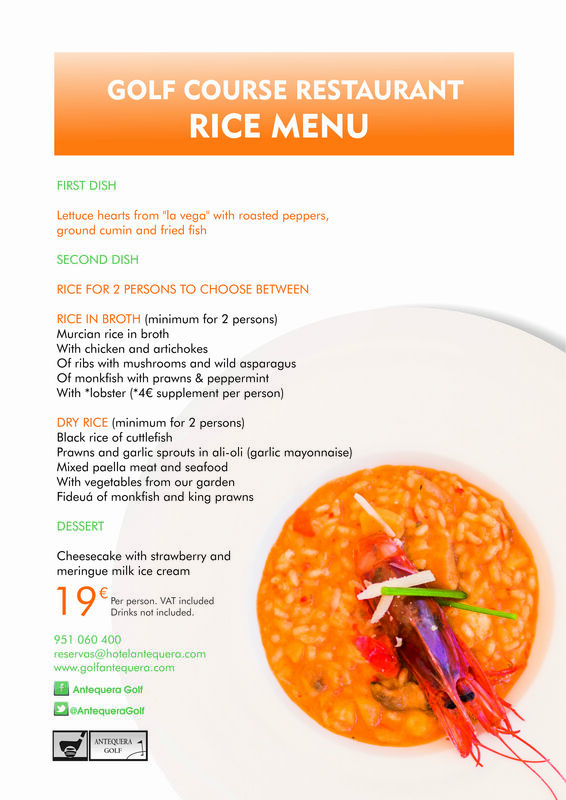 Choose between different types of rice dishes as well as trying some spectacular starters and desserts. Traditional cooking with just the right touch, to be enjoyed any day of the year. Perfect to finish off a day’s golfing. A first course, second course, desert and drink all included. Our players’ favourite!